In 1968 Mr Franz De Kever, a Dutch architect working in Melbourne and his wife Rie De Kever purchased the six acre site with a view to build a Motel and authentic Dutch restaurant. 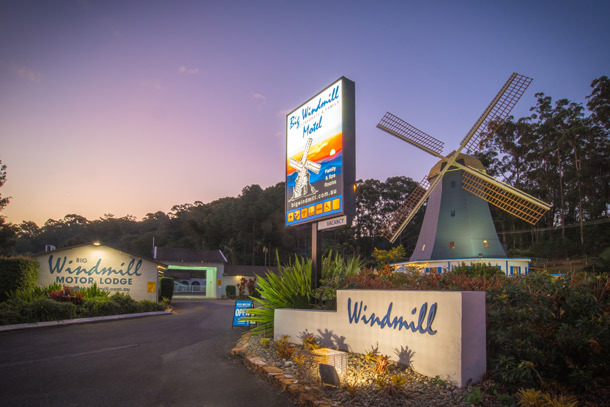 After completing ten Motel units, construction on the Windmill Restaurant began in 1972. Originally the most difficult problem was finding eight timber poles of the same size and width to support the structure. Finally after a long search Mr De Keever found what he was looking for in the forests near Kempsey, NSW. However, tragedy struck in 1974 when halfway through the construction Mr De Keever was killed when he fell while working on the frame of the Windmill. A small brass commemoration plaque with his initials ‘F.D’ is located outside at the base of the mill. The site remained half finished until 1977 when Hans Eecen and his family called in to stay at ‘De Windmolen’ as it was then named. 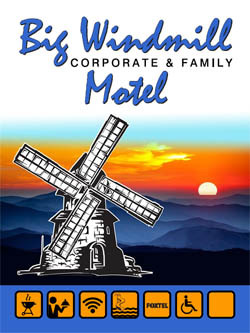 After long discussion with Rie De Keever they purchased the Motel and Hans set to work completing the Windmill. The blades or ‘wicken’ were made in Holland by a Mr. Harry Dercke who came out to assist in the assembly. It was finally officially opened in 1982 by the ambassador from the Netherlands. A tribute to two very determined Dutchmen. 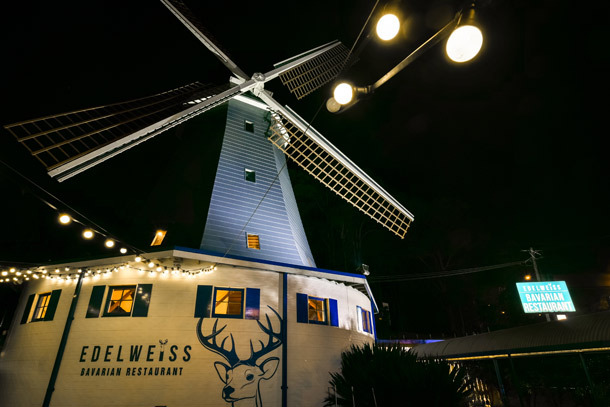 The Eecen family traveled back to Holland regularly and bought the authentic Delft plates that are hanging on the walls as well as the numerous Dutch artifacts that are located throughout the restaurant and cocktail bar. Hans continued building onto the Motel to complete the present 40 rooms that can be found onsite today.